Morgan James Publishing, 9781642793215, 252pp. From toxic patterns and trauma to transformation, Beyond Messy Relationships guides readers through an authentic journey through AIR--Awareness, Intentionality, and Risks--to find hope. Most people seek therapy too late or not at all. They struggle in their long-term marriages, experiencing regret and loneliness, believing it is too late for change to make a difference. When professional relationship therapist Judy Herman's 28-year marriage ended in divorce, she began to question what is considered normal and healthy in relationships. After learning to dance, she married her ballroom dance partner and now shares the story of how she recovered her authentic self after the trauma of her husband's psychosis. 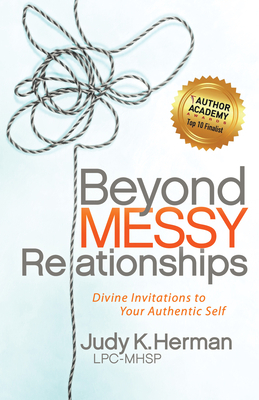 Beyond Messy Relationships presents a simple formula for readers in the form of AIR: Awareness, Intentionality, and Risks. Those struggling in long-term marriages or other relationship challenges are reminded to breath in the truth of their innate value, dignity, and worth and are shown how to take healthy risks for transformational change.